It is with great sadness that we announce the passing of David R. Agnew, 69, of Berry Mills, who passed away on Thursday, November 29, 2018. Born in Moncton, he was the son of the late Robert and Margaret (Carter) Agnew. David was a retired employee of Quality Concrete with over 39 years’ service and was a truck driver for several other companies. 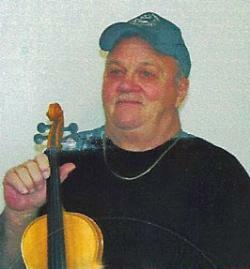 He was very much an outdoors person, enjoyed music, playing his fiddle, singing, country music, playing cards (200’s) and socializing with his friends and family. David will be sadly missed by his sisters and brother, Elaine MacLeod (late Buddy, 2011) of Moncton, Gloria Wellwood (Carl) of Lutes Mountain, Charles Agnew (Ann) of Harcourt; several nieces and nephews and special friend, Odette. A Service to celebrate and honour David’s life will be held at Fergusons Funeral Home Chapel, 1657 Mountain Road, Moncton (858-1995) on Friday, December 7, 2018 at 11:00 am, with Pastor Scott Ryder officiating. Reception following the service in the Funeral Home Reception Centre. Interment will be in Fair Haven Memorial Gardens.